What does the research show about teachers actively engaging students in problem solving (i.e. homework) in the classroom and leveraging the power of technology to receive more traditional work (lecturing) at home via computer/smart pad/or smartphone? In this presentation we will discuss the research and reasoning behind the approach. How does the approach work with what we know as best practices for teaching millennial students? How does flip teaching fit Bloom’s Taxonomy? How does the approach hold up to Chickering and Gamson’s Seven Principles for Good Practice in Undergraduate Education? How is the growing field of brain-based research better informing this student-centered approach? Just what exactly does the research say about Flip Teaching? This will be a fast paced and highly visual discussion that summarizes and reviews the research and reasoning. 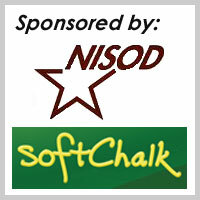 You will also most likely pick up a Teacher Trick or two on how to better utilize SoftChalk to flip activities in your own classrooms.